2018 Glow Ball Golf Tournament! 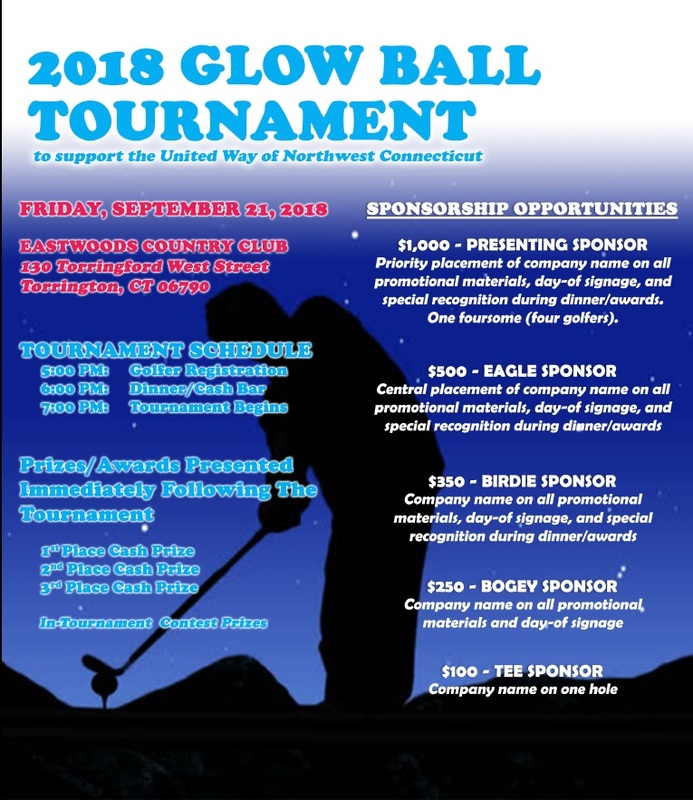 The United Way of Northwest CT presents the 2018 Glow Ball Golf Tournament! Do you Love to Golf? How about Golfing in the Dark! Join us for our 2018 Glow Ball Golf Tournament on September 21st, 2018 at Eastwoods Country Club! If you're looking for a challenge, this is the Tournament for you! Only $75 Per Golfer including Dinner! Please help us and let your friends, colleagues and followers know about our page: 2018 Glow Ball Golf Tournament!